Congratulations to our 2019 Captains, Ellie Bennett (for a second year) and Pete Labas. 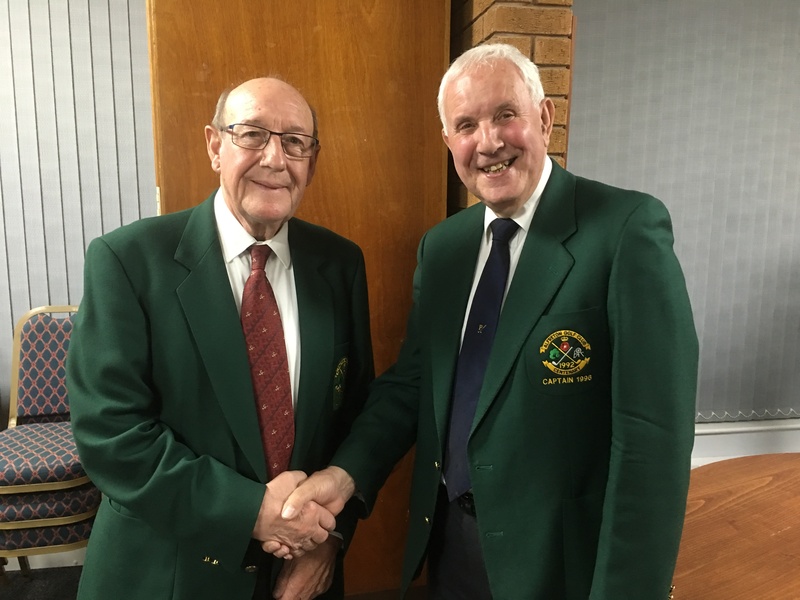 At the Golf Club AGM on 20th March they were elected for the next 12 months. Peter says, “I would like to thank Dereck Martin for being a great Captain in 2018 and I hope I can do as half a good a job as he has done. I certainly hope I can get a repeat of the weather that Dereck had in 2018. I am continuing the fundraising focus that Dereck set up, this being the Golf Club. 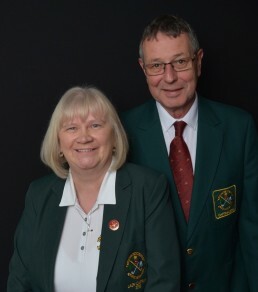 Ellie adds, “I’m delighted to represent the Ladies of AGC for a second year and look forward to working with Peter and his Vice Captain Billy Morrison and am thrilled to welcome Linda Baston as my Vice Captain. See pictures of Ellie, Peter, Linda and Billy below. 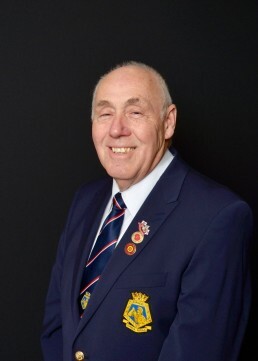 In addition to the appointment of the Captains and their Vice Captains, another notable change was the retirement of Alan Bramley as our President after his two year period and the election of Ken Swift as his successor. 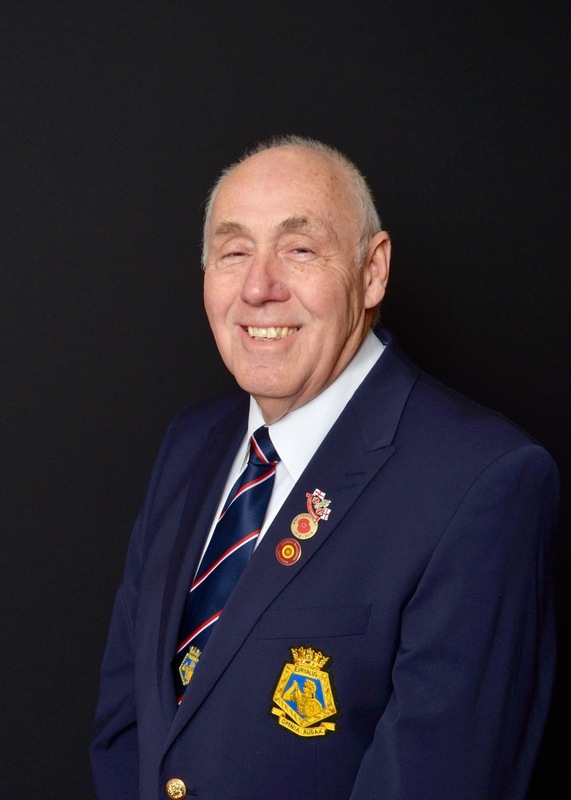 See pictures of Alan, (with outgoing Captain Dereck Martin), and Ken below. 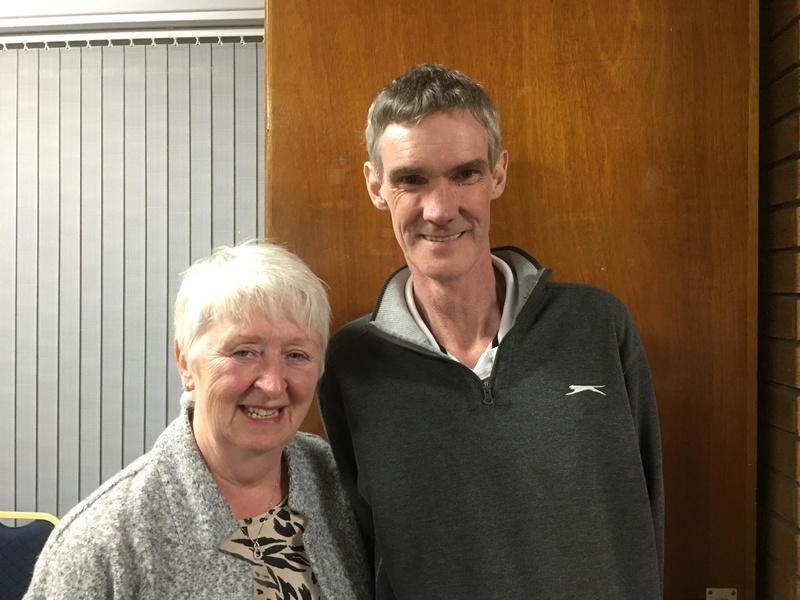 Outgoing Captain Dereck has asked that his speech of thanks be included in this news item for those who were unable to attend the AGM to see. Thanks to you all for making it such a wonderful year for Ellie and myself. It is a year I will remember for a very long time. I would like to thank a few special people, first the Ladies, for all their help throughout the year, doing the tables for the dinners and for making such a wonderful job of running all the half way houses. All the Members on the Committee for all their help throughout the year, they have certainly taken a lot of work off my shoulders, thank you very much. 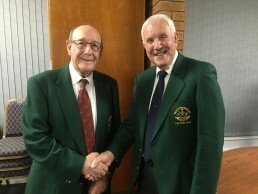 The Green staff, for the way they prepared the course for the Invitations, the course was superb, Neville for making such a great job of selling raffle tickets for the invitations, thank you “big fella”. And last but certainly not least, a man who I could not possibly have done without, a man who has carried me through the year, a man on the end of the phone anytime, a wonderful friend of mine for life I hope, that man is Trevor Parrett. Ellie and myself raised a great sum of £3,100 for the Golf Club, £200 for the juniors and a further £150 approx when we get all the money in from the ‘in and out’ dance for the Social Committee to help towards the cost of covering the chairs.